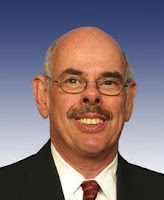 Los Angeles is lucky to have a clean energy and mass transit ally like Rep. Henry Waxman. He is fighting the battle in Washington to reduce smog and congestion in this city and I thought I'd share this email I received recently from the congressman explaining his positions on Measure R and the 30/10 Initiative. Thank you for contacting me to express your support for the expansion of the LA County transit rail system to the Westside of Los Angeles. I am glad we agree on this important issue and appreciate the opportunity to update you on the latest developments. As a long-time advocate of public transportation, I strongly believe that a robust mass transit system is essential for high-density areas like Los Angeles. Well designed transit options offer cost-effective and convenient solutions for commuters and dramatically reduce pollution and traffic by taking cars off the road. I strongly supported the passage of Measure R, a ballot initiative to increase sales tax revenue for transportation projects, the LA County Metropolitan Transportation Authority (MTA) is now proceeding with the most ambitious expansion of transit options in the system's history. As you may know, on October 22, 2009, the MTA Board voted unanimously to adopt a 30-year Long Range Transportation Plan (LRTP) that details each of the projects. And, on April 22, 2010, the MTA Board voted to endorse the "30/10 Initiative," an aggressive plan to leverage projected Measure R revenues and accelerate construction of the transit projects within 10 years. Among the key components for the Westside are the extension of the Exposition Boulevard (Expo) light rail system to Santa Monica and the extension of the Red Line Subway to Westwood. Detailed information is available at http://www.metro.net/projects/30-10/. You can count on me to continue to work for vigorous federal funding to implement the MTA's vision and strategy to enhance transportation accessibility, safety, and efficiency across the region. For more about my work in Congress, or to sign up for periodic e-mail updates, please visit my website at http://www.waxman.house.gov and http://energycommerce.house.gov. Thank you for contacting me and please be in touch on all matters of concern.